A dying industry just 15 years ago, garlic farming has experienced resurgence over the past decade in the province, particularly in Perth County” and that local comeback is closely related to the creation of the Stratford Kiwanis Garlic Festival. 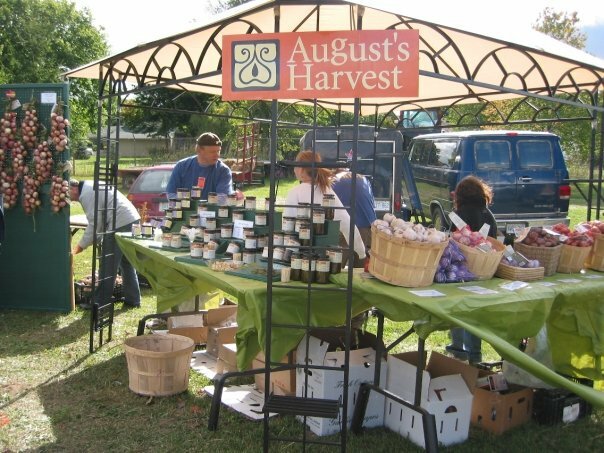 The Stratford Kiwanis Garlic Festival was founded in 2007 as a cooperative effort between the Kiwanis Club of Stratford and local garlic growers to promote Ontario garlic which was struggling to gain a foothold in the Canadian market that was dominated by cheap imported garlic from China. The members of the Kiwanis Club of Stratford recognized an opportunity to merge service to the community, fun and fund raising and supported the idea wholeheartedly. The first festival was held on September 15, 2007 and was a resounding success. Large crowds attended the one-day outdoor festival and both attendees and vendors were impressed with the Club’s organization and teamwork. Local garlic growers believe that, indeed, the Stratford Kiwanis Garlic Festival has helped the local garlic industry make a comeback from its near extinction in the early 2000’s. Warren Ham, the garlic grower who co-founded the Festival was quoted in a story in the Beacon Herald (Sept. 11, 2017) indicating that “by 2000 the acres of farmland used to produce garlic in Ontario had declined significantly from 6,000 to 300 acres.” He went on to say that “a dying industry just 15 years ago, garlic farming has experienced resurgence over the past decade in the province, particularly in Perth County” and that local comeback is closely related to the creation of the Stratford Kiwanis Garlic Festival. Now the Ontario garlic industry is facing another problem: the demand for locally-grown garlic has increased to the point where many more acres of garlic need to be cultivated in order to meet the demand. Local garlic has disappeared from grocery store shelves by January and is not available until the new crop is harvested in June. The organizers of the Stratford Kiwanis Garlic Festival, 2018 will continue to work with the Ontario Garlic Growers Association to support smaller garlic growers and encourage growth in this industry.